The last time man walked on the moon was on December 7, 1972, when Apollo 17 deposited three astronauts to the lunar surface for this sixth and final mission. This also marked the last time that the Lunar Roving Vehicle (LRV) was driven; allowing the astronauts to travel further and carry heavy equipment made it an indispensable part of the Apollo missions. 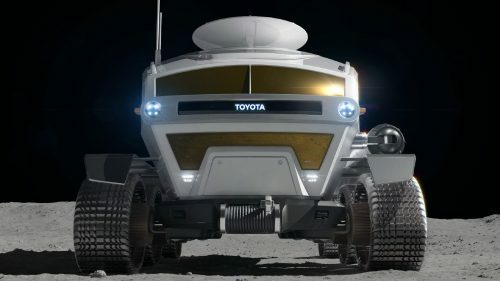 If the joint study between Toyota Motor Corporation and the Japan Aerospace Exploration Agency (JAXA) is anything to go by, we may once again see a manned exploration vehicle roving the moon’s surface, but this time it would have a cruising range of up to 6000 miles instead of the 57 miles the original rover could manage. 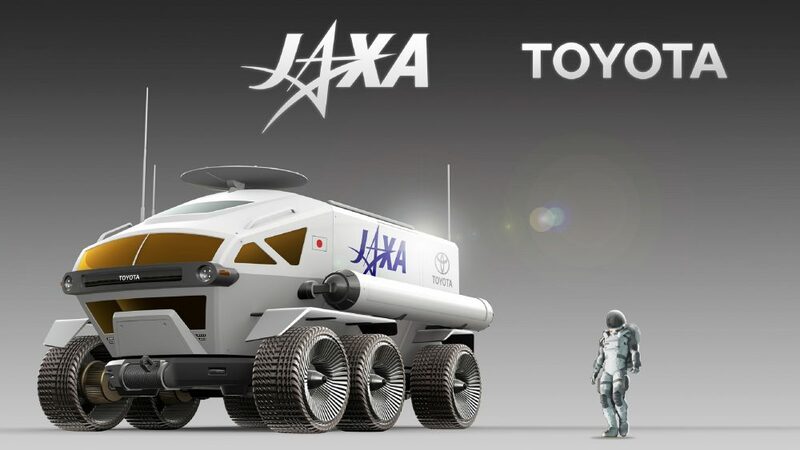 The collaboration between Toyota and JAXA envisages the development of a manned, pressurized rover that will employ advanced fuel cell technologies to give it this impressive range. While the moon is a starting point, the rover could conceivably be adapted for use on other planets surfaces too. 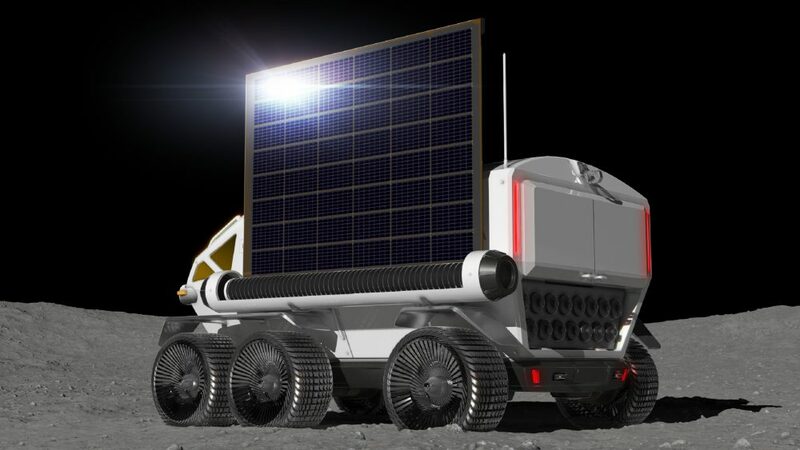 The conceptual study for the rover began in May 2018, and the decision to use fuel cell technology came about due to its clean power-generation methods. Toyota Executive Vice President Shigeki Terashi said that with Toyota’s commitment to electrified vehicles and their expertise in this field they were well placed to work with JAXA on this project, and that becoming a member of “Team Japan” would allow them to take up the unique challenges of space. 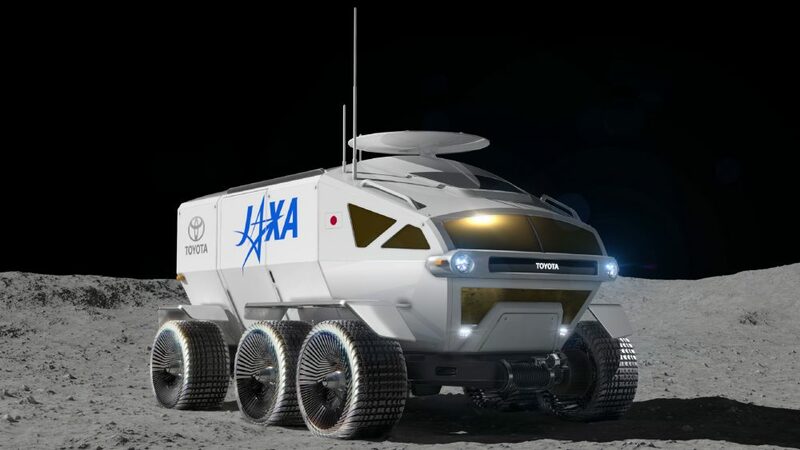 At a symposium held on March 12 in Tokyo, JAXA vice president Koichi Wakata and Toyota executive vice president Shigeki Terashi held a talk session, detailing where the project was headed. The rover itself is planned to have an enclosed body equipped with the necessary equipment to enable astronauts to live in the vehicle without the need for space suits and will be capable of being controlled by the astronauts, remotely or driven autonomously if required. 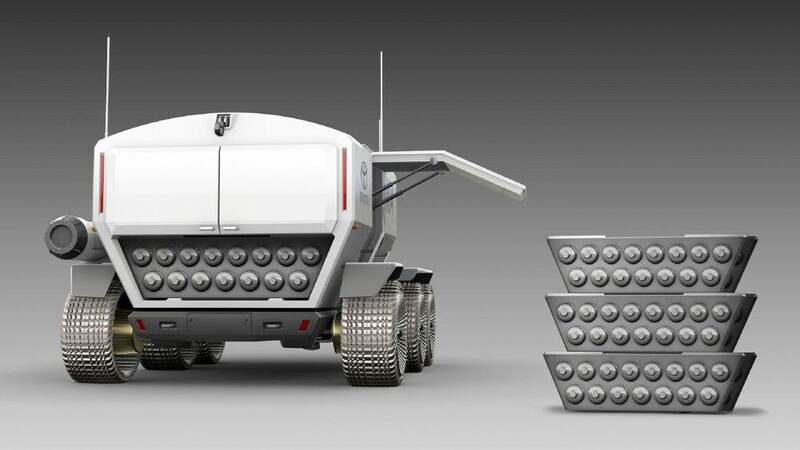 The concept proposal at this stage envisages a vehicle that is 6-meters (19.7-feet) long, 5.2-meters (17-feet) wide and 3.8-meters (12.5-feet) high. That would give the astronauts around 13 cubic meters (140 square feet) of living space. The rover would ideally accommodate two people at a time with the capability to fit four in emergencies. 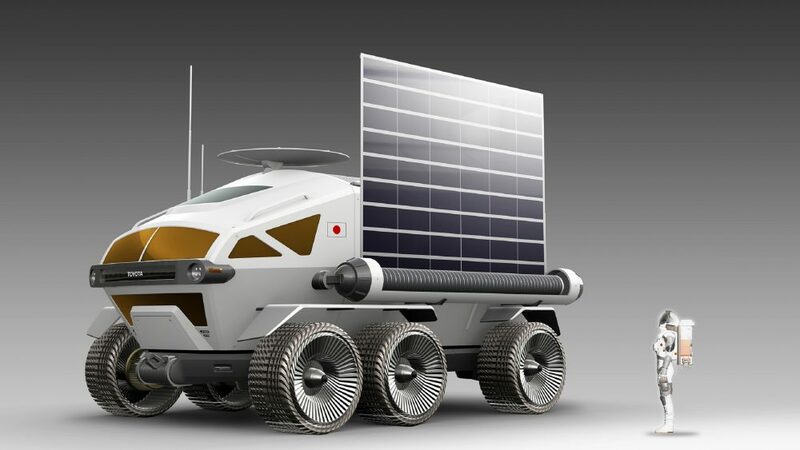 While the concept is in its early stages, the thought of being able to explore planets within our solar system from the comfort of a vehicle such as this is an exciting prospect. 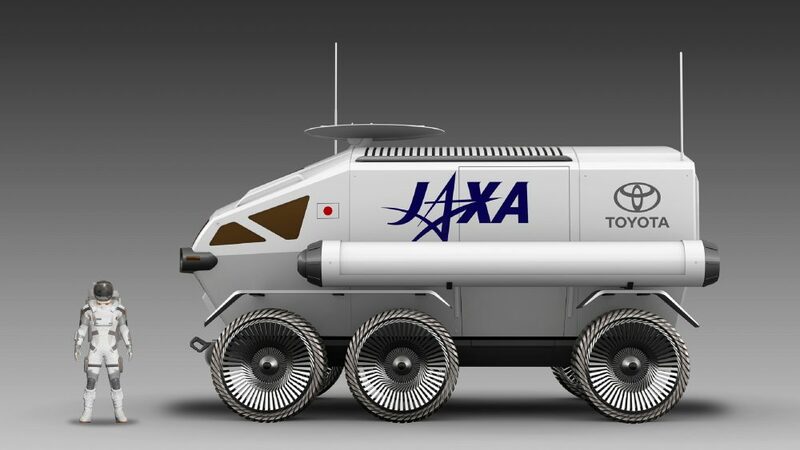 JAXA believe that the need for pressurized rovers such as this one will be an important element in human lunar exploration which they envision will take place in the 2030s. 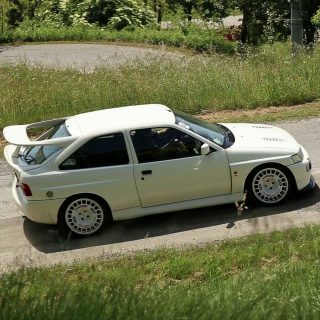 They aim to cater for this need by having a rover ready by 2029. 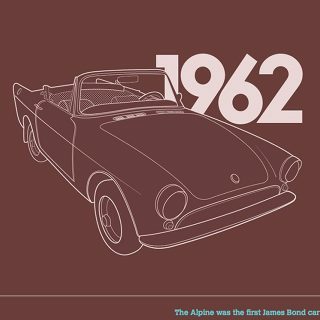 It may all seem a bit far-fetched but then so did the plan to land on the moon when it was announced to the world by President Kennedy on May 25 back in 1961. 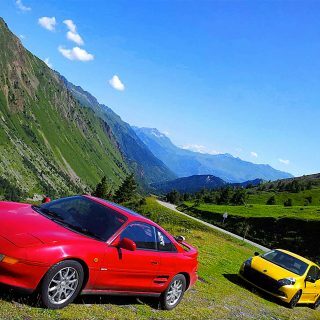 Will they ask for BMW help this time too?